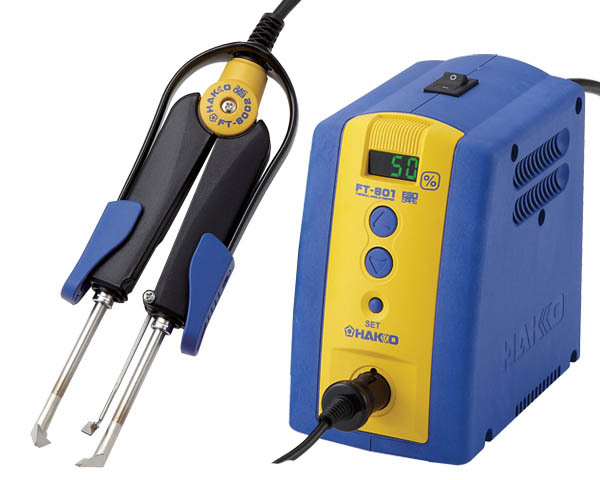 American Hakko Products, Inc. (Hakko) greeted the new year with two new and exciting product releases: the Hakko FX-888 Soldering Station (FX888-23BY) and the Hakko FT-801 Thermal Wire Stripper (FT801-02). Both products (and their accessories and replacement parts) are now available at QSource.com. Providing durability and productivity at a great price, the Hakko FX-888 is an excellent temperature-adjustable soldering station that provides more power and takes up less bench space than its Hakko 936 predecessor. With an increased thermal performance and faster thermal recovery time, the Hakko FX-888 offers up to a 30% increase in operator productivity. And because of its smaller footprint, the FX-888 uses approximately 35% less surface area compared to the Hakko 936. Visit QSource.com for more features and specifications of the Hakko FX-888 Soldering Station. 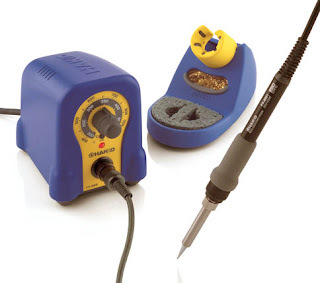 Hakko's FT-801 ESD-safe Thermal Wire Stripper minimizes bench space with its compact size. The digital thermal wire stripper features a redesigned, ergonomic handpiece (which is compatible with older version G1 blades) and a new holder design with safety protective cover. * NOTE: Blades are NOT included. Blades must be purchased separately. Visit QSource.com for more features and specifications of the Hakko FT-801 Thermal Wire Stripper. Check out these great new Hakko products and call Q Source today at 800-966-6020 to find out more! REMEMBER: Q Source is your resource for all Hakko FX-888 and FT-801 accessories, tips, and replacement parts!